The Orient Side Table by Eichholtz draws inspiration from the exotic designs of the Art Deco era. Crafted from polished stainless steel or brilliant gold, the elegant 3 step base resembles the shape and structure of an architectural column. 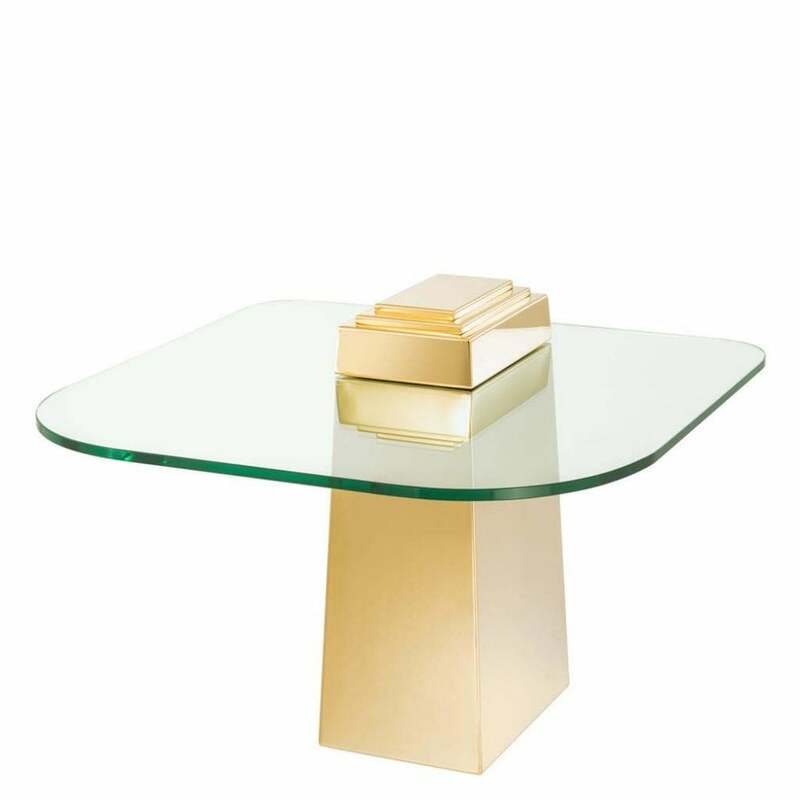 Completed with a curved table top made from high-quality glass, the surface almost appears to stand on its own due to the off-centre placement of the tables stand. The Orient Side Table will bring a touch of glamour to a contemporary living space. Position next to a sumptuous velvet sofa for a contrasting finish that exudes cool sophistication. Make an enquiry for more information.